Several years ago, A123 Systems was considered a company with great battery products for electric cars. Sadly, things didn't work out too well; they lost a bidding war with LG Chem for the Chevrolet Volt, the Fisker Karma went over like a lead balloon, and Chrysler's multiple EV vehicle "ENVI" lineup (of which A123 was selected to supply) was dissolved when Fiat took control of the company. The company eventually filed for Chapter 11. After the bankruptcy, A123 assets were acquired by Wanxiang, and today there is no more production of EVs with A123 Systems batteries. Probably the 2014 Chevy Spark EV was last automotive battery line before it switched to LG Chem for 2015. The direction now pursued by A123 Systems (besides energy storage systems) are 12-volt lithium-ion starter batteries. Recently, the company announced a breakthrough new UltraPhosphate technology with "25% greater" cold cranking power. 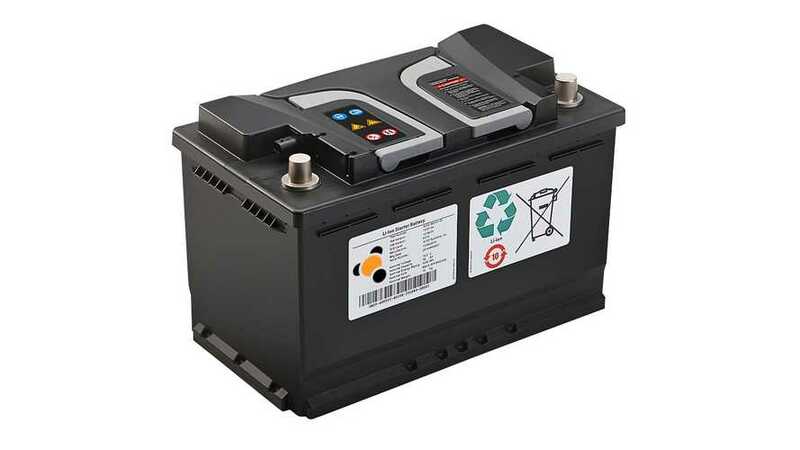 A123 Systems has supplied starter batteries since to 2011 and now has five carmaker customers in Europe that seem to like those batteries in micro-hybrid application. 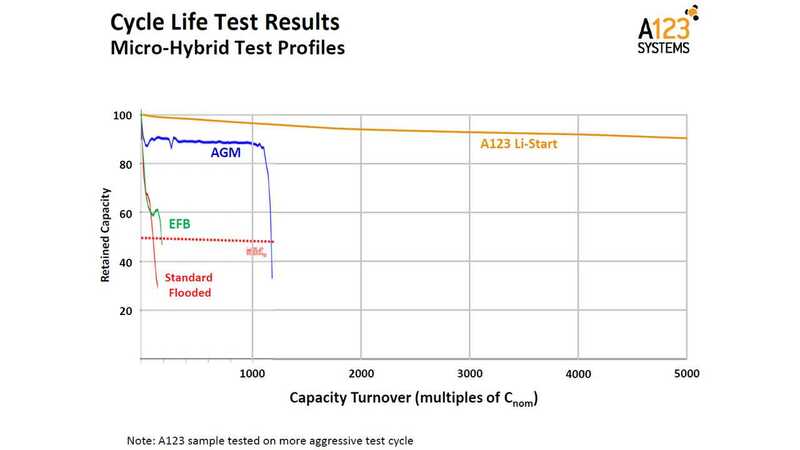 Demand for the new Li-Start Battery is strong enough for A123 to expand it current production line, although production numbers weren't disclosed. Will A123 System come back to EVs, maybe with new Fisker Karma? 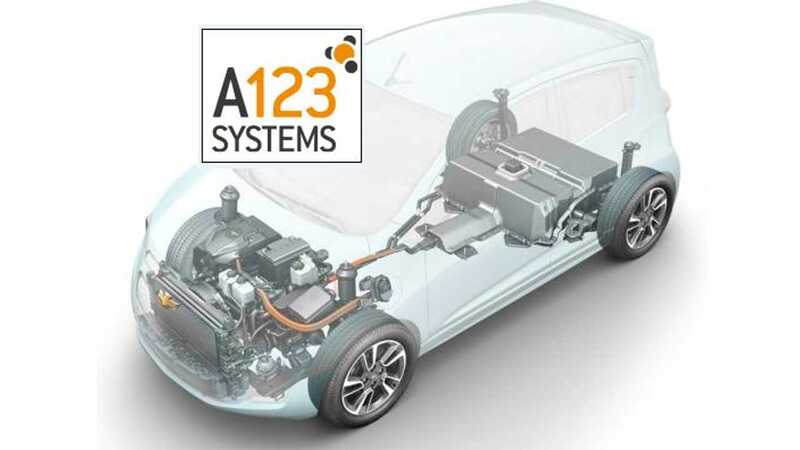 "A123’s 12V starter battery utilizes advanced chemistry and system design to not only offer outstanding cranking power but also enable world-class brake energy recuperation, increased cycle life, and charge acceptance, providing the micro-hybrid market with a progressive solution. Micro-hybrids can be defined as vehicles that require advanced 12V batteries to power start-stop systems and store electricity from regenerative braking. These systems offer fuel economy and emissions gains at modest incremental cost and are steadily migrating from performance and luxury vehicles to the mainstream market, particularly in Europe. In addition, the battery weighs half as much as a comparable lead-acid battery thereby supporting OEM light-weighting goals, further contributing to achievement of fuel efficiency and emissions regulations globally. In total, the system can."